Bay of Plenty kiwifruit property continues to break records and has helped ensure the local rural real estate market is currently around the strongest in the country. A Paengaroa bare land block capable of development for kiwifruit, which sold for $90,000 per hectare, is just one example of why the region topped nationwide revenue for national rural real estate leader, PGG Wrightson Real Estate, in 2014/15. Sales manager for the company’s Bay of Plenty/Central Plateau region, Mike McCullough, said the strength of the horticulture sector was a crucial part of an all-round effort by his team to secure the title of top region across PGG Wrightson’s national network. “Horticulture sales have helped considerably, driving our sales success during 2014/15. Horticulture represents around one-third of our regional sales activity by both unit sales and revenue. We are by far the strongest region in horticulture although our team’s commitment and the strength of the rural property market across the other farming sectors in the region have also been critical factors in our success. We have a strong local team, with our top five rural salespeople all featuring in the top 15 for PGG Wrightson Real Estate nationwide. We are looking forward to building further on that in the 2015/16 season, starting with the traditional spring selling campaign in a few weeks, where we have a number of impressive listings coming to the market, and expect to generate considerable interest among buyers,” he said. The recent transaction of a 20 hectare Paengaroa bare land block for $1.8 million, or $90,000 per hectare, demonstrates that Bay of Plenty horticulture land continues to be among the most sought after nationwide, says one of the country’s top rural real estate salespeople. Te Puke-based Stan Robb is one of PGG Wrightson Real Estate’s horticulture specialists. He said sale prices for orchards have been on an upward trajectory for around two years, a climb that shows no sign of abating. “Since growers came to grips with Psa almost two years ago, kiwifruit orchard prices have increased steadily. Recording a sale of this value for, as yet, unimproved land really underlines the intense motivation to invest in kiwifruit. “To put this sale into perspective, last November, PGG Wrightson Real Estate sold a 60 hectare Morrinsville farm for $80,000 per hectare for land and buildings, a national record for a dairy property. This was a state-of-the-art dairy farm in one of the country’s most sought after locations, supplying Tatua, the company with the most generous payout; and a bare land block suitable for kiwifruit development is now worth appreciably more,” he said. According to Stan Robb, kiwifruit orchard sales tend to drop away most winters. “Although they have dipped slightly this year, values kept rising. More concerted sales activity should resume in October once the fruit sets and we can reasonably predict the subsequent harvest,” he said. After the Psa outbreak in November 2010, orchard values dropped significantly, only starting to recover about two years ago. By early in the 2014/15 season, they had fully recovered to levels set prior to the virus and have kept rising since. “Last October, a good 5.84 hectare gold orchard sold for $400,000 per canopy hectare. In mid-May, a green kiwifruit orchard sold for close to $400,000 per canopy hectare. In late July and early August, two other green orchards sold for approximately $350,000 per canopy hectare, one in Paengaroa and one in Pyes Pa Rd. These sales are remarkable because the properties are 10 months away from producing any fruit, with no way yet to predict the 2016 harvest,” he said. Meanwhile, Stan Robb says that, by the end of last season, the best presented gold kiwifruit orchards had broken through the $500,000 per canopy hectare mark, already 20 per cent ahead of prices at the start of last season, with $450,000 per canopy hectare for gold orchards now considered routine. 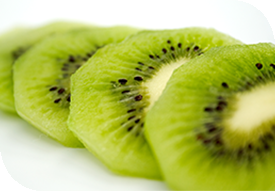 Te Puke-based David McLaren also sells kiwifruit property for PGG Wrightson Real Estate. He recently sold an organic green kiwifruit block that produced 68,000 trays last season for around $300,000 per canopy hectare and a conventional green kiwifruit orchard with a number of lifestyle features that changed hands for around $40,000 per canopy hectare more than that.